Nicolaus von Rupp, better known as Nic was born on August 2, 1990, in Lisbon, Portugal. Son of German father and Portuguese mother, Nic is fluent in five languages. German Junior Champion in 2004, European Junior Champion of Volcom Rumble fish in 2005, Champion King of The Groms in the same year and German Senior Champion in 2006. In 2007 Nic signed for Quiksilver, and was crowned vice-champion of the European Pro Junior Association of Surfing Professionals (ASP), he finished 5th in the World Junior Championships, and earn the ‘title’ Most Improved Surfer in 2008. In 2009, Nic von Rupp premiered at the Circuit World Qualifying Series (WQS), 5th place at the 4 stars WQS Vendee Pro, 2nd place at the Peniche TMN Trials in 2011 and ranked 9th at the Prime Hang Loose Pro in 2012. In 2013, with the arrival of Monster sponsorship and the integration into the Hurley team, came the need to find the perfect balance between competition and free surf. More focused, Nic finished the year in the Top 100 of the World Tour qualification and started – ” My Road with Nic von Rupp ” – that reflect the attitude of the surfer towards Surfing. It got a lot of media attention and exposure that culminated with the prize for the most mediatic European Surfer of the Year awarded by EUROSIMA. 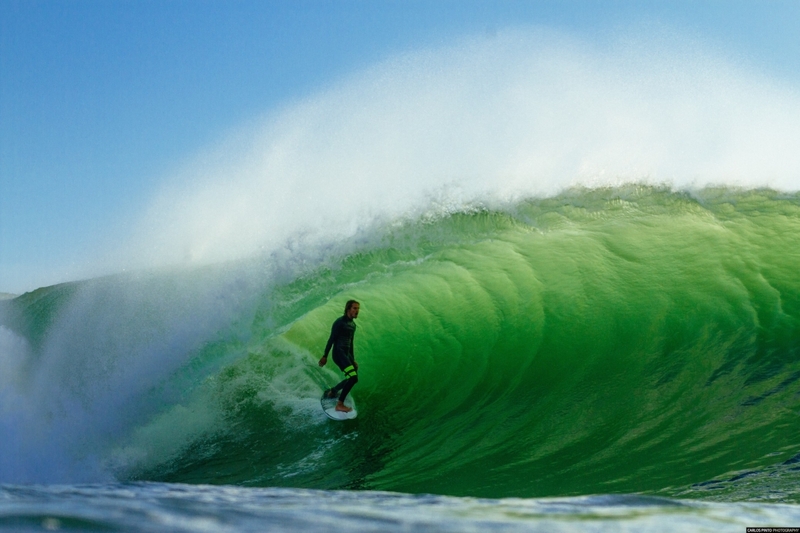 Early in the year of 2014, Nic pushed by his incessant desire to look outside the normal waves, opted for a trip to Ireland during the mediatic storm ” Hercules “. This adventure, because of the size of the waves ridden, had a huge effect in the international media, this got Nic included in an article in The Times. At this time Nic is in 45th place in the WQS and aims to improve his ranking and therefore join the coveted elite of the surfing world: the World Surf League ( WSL ). Obviously qualify for WSL, but also keep having the opportunity to chase big and perfect swells around the world and having this documented on My Road Series, which is my baby project that I care a lot for. Being recognized by the Euro market as the surfer with most exposure two years in a row is a pleasure because it means that I’m going in the right direction. The hassle of traveling around the world, sometimes at last minute warnings is something that most of people don’t realize how hard it is for an athlete. Having a day of big and perfect barrel conditions makes me sleep like a baby. I’ve a lot of training programs to stay fit that I use when I can’t surf, but surfing is a single sport so being alone is not a problem. Never give up and push the limits of my physical capacities are my thing. My little sister and I’m her biggest fan also. Success is not final, failure is not fatal and it’s the courage to continue that counts. I think it’s from Churchill. Have fun and pursue your dreams with a smile in your face.